In need of some woodwork? Chances are you’ll want to hire a Naples Park, FL carpenter. Carpenters work with all types of wood and can specialize in many different areas, including framing, finishing and custom-made furniture. Make sure you choose the right Naples Park carpenter for your job by asking plenty of questions, viewing their past work and reading reviews. 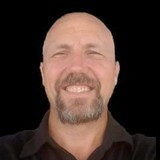 Hello, my name is Tim Faber and I proud to offer Professional services in a demanding Market. I am very experienced in many aspects of construction with my favorite work being custom finish work ( woodworking, trim, tile work...etc.) I have 30+ years in construction and have many photos of my work. I have had the pleasure of working in many different environments and have been blessed to be successful in every situation. I have worked with interior designers, custom home builders, custom remodeling companies, commercial construction and even handyman services. I look forward to meeting you and helping you complete your project through creative solutions and detailed experience. General contractor specializing in finish and trim carpentry and installation of custom mill-work; with 25 plus years experience in southwest Florida and Massachusetts. Family owned and operated, working residential and commercial. We can help your vision become a reality! Working with our partner company Artfauxistic Solutions, we can see your project gets custom faux finishing as well! Top quality work means finishing your project the right way, the first time. A lifetime of experience in the carpentry trade, a positive and optimistic attitude, and the patience to complete your project to perfection makes our quality better than others competing against us. Hi, my name is Chuck Devin. I like to to build things for people, I can't imagine doing anything else. . I specialize in interior trim upgrades, custom furniture and custom wall units. 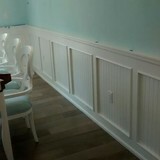 The name I chose for my business, wallstatements , reflects my favorite, custom wainscot. If you'd like to change the look of a room, create a look like you see in a photo on Houzz I would love to discuss it with you. We are a one stop Total house care professional. Whether your looking for Handyman, Pressure washing, Remodeling,Maid and Cleaning services or a full concierge Home watch. We do it all. TruBlue of South West Florida is a family owned and operated company that is nationally recognized for exceeding expectations with our quality of workmanship. Give us a call and let us know " What we at TruBlue can do for you". Our business is our livelihood but it is also so much more. Austin Handyman Services LLC was started to fill in a void in the current market and to make a business that the people of Lehigh Acres and surrounding areas can place their trust in. Over the years we have never lost our commitment to our clients and that is what has allowed us to succeed in a very competitive industry. We stand committed to our purpose as we stand committed to the people of Lehigh Acres and surrounding areas. At Island Custom Woodworking, LLC, you won’t find any particle board in our cabinets and furniture. We work with only the finest domestic plywood’s, quality kiln dried northern and exotic hardwoods, as well as quality hardware, stains, and lacquers to create beautiful, yet highly functional works of art. We work closely with each client to create something that fits their needs and style. From contemporary to traditional, art deco to minimalist, we create furnishings in every style imaginable. B.J. 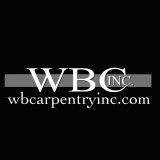 Trim Carpentry, Inc. is a full service carpentry company. 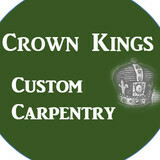 Our expert carpenters specialize in providing you with the highest quality in custom crown molding. B.J. Trim Carpentry, Inc. is fully licensed (Collier County License #: C27857 & Lee County License #: FC05-01675), bonded, and insured for your total protection and peace-of-mind. From crown molding to baseboards, cabinet installation to raised panel wainscoting, trim carpentry to deck repair, and more, our expert carpenters ensure all your residential and commercial property woodworking projects are completed to the highest standards, on time, and within budget. B.J. Trim Carpentry, Inc. has been providing professional carpentry services since 2005, and our contractors bring two decades of experience in the industry to each project. We offer discounts on our crown molding services too! Call B.J. Trim Carpentry, Inc. in Naples, FL at 239-784-5908 today to discuss your carpentry needs with our experts, to schedule your crown molding installation appointment, as well as to find out more about our full range of available woodworking services. Specializing in the use of exotic hard woods to build custom bars(commercial or residential), tables and furniture. We are Southwest Florida's premier home remodeling company. We specialize in the renovatiob of commercial and residential properties through custom carpentry and quality flooring applications.